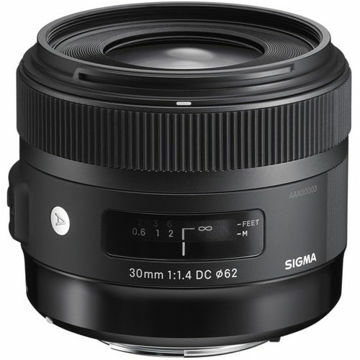 The 30mm f/1.4 DC HSM Art Lens for Sony from Sigma is a prime lens designed for Sony APS-C format cameras. 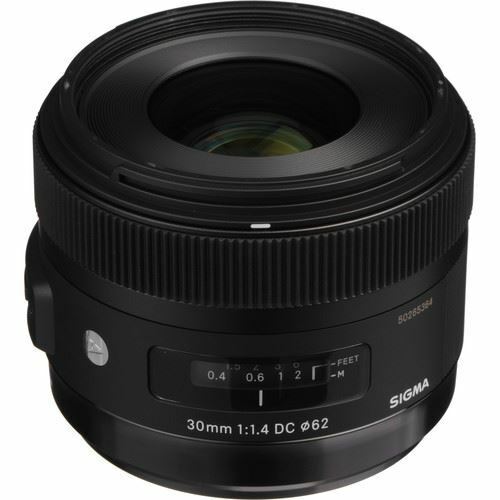 Its 35mm focal length equivalent is 45mm which places it in the category of standard focal length lenses. 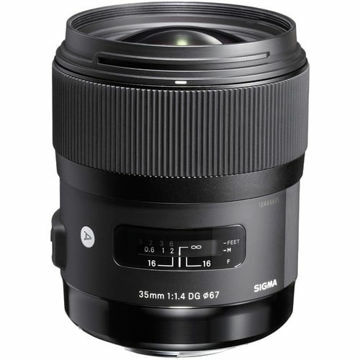 With its particularly fast maximum aperture of f/1.4, the lens will perform very well in low light situations and provides shallow depth of field focus. With updated optical configurations (9 elements in 8 groups), as well as rounded aperture blades, the lens delivers sharp detail and nice background bokeh. Its minimum focus distance is 11.8" (30 cm). The lens’ optimized light distribution helps to minimize field curvature preventing a loss of image quality at the edges of photographs and its double-sided aspherical lens element minimizes spherical distortion. A rear focusing system combined with a newly developed autofocus algorithm and Hyper Sonic Motor provide smooth and accurate autofocus. Fulltime manual focus is also supported. Box Dimensions (LxWxH) 5.7 x 5.1 x 4.7"